This workout has been kindly submitted by Garry from Bootcamp Workout Ideas. Square Bear is a circuit based on MMA training moves. Mark out a square ‘boxing ring’ with cones 20m apart. Divide the group into two teams of mixed fitness levels. Team A starts in the blue corner, team B in the red corner. Teams bear crawl (on hands and feet, knees off the ground) around the square clockwise, stopping at each corner to carry out a set of MMA exercises below. Team members try to ‘tag’ a member of the opposite team by overtaking them during the bear crawl transition and tapping them on the shoulder. No tagging is allowed at the exercise stations. When a team member is ‘caught’ they must get up and go for a 200m run before returning to where they left off. Score one point for your team for every person that you manage to tag and send for a run. The bear crawls make this workout quite punishing. Feel free to sub them with duck walks, running, side steps or any other travelling exercise as required. You know your group, be reasonable. Every 8 minutes, call a time-out for all players to go out for a 60 second recovery run. 3 rounds of 8 minutes = 26 mins for the main segment including recovery runs between rounds. Here are the recommended exercises. Distribute according to clients level. Start in a prone, ‘upward facing dog’ position with chest elevated and back arched. Push off hands explosively and jump back into a ‘fighting stance’. Throw yourself back down to starting position for one rep.
Garry Robinson is a Bootcamp Instructor from Australia where he runs his own unique brand of group outdoor fitness. He is an advocate of outdoor exercise and continues to research ways to make physical fitness appealing and accessible to an increasingly sedentary society. Garry is also the author of Bootcamp Workout Ideas, a field manual of 50 complete workouts scaled for all fitness levels. It includes warm-ups and top tips for personal trainers and bootcamp business owners. 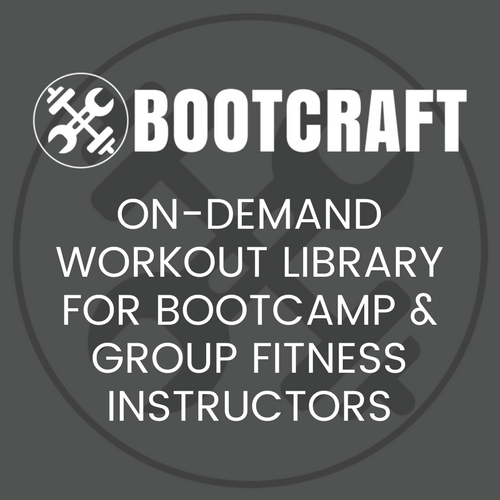 Visit www.bootcamp-workout-ideas.com to download 2 free workouts. Check out how you can win a copy in our competition! If you enjoyed this workout sign up for new workouts and ideas to be sent to your email address. Hi Guys, love the site and the Kaizen booklet. With this unbelievably wet weather in Sydney, I’ve had to dig deep on workout ideas that don’t involve a wet field. So thanks for keeping my business rolling over 80 or so days of rain. However, when I look through the workouts on the site, I may sometimes dismiss them if I don’t fully understand the process or don’t think they’d be as effective, but if there was a voting system on them, so we could see which workouts were the most popular, it would be hard to argue with the masses and I’d be more likely to persevere and try a workout that everyone else says works well!